FREE Gas-less Surgeries with Kruschinski! International patients pay "air fare and accomodations" only! 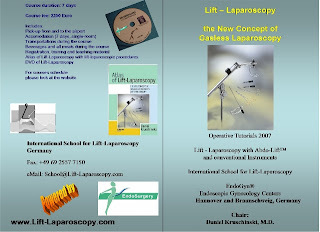 Prof. med Daniel Kruschinski has re-invented himself once again, perhaps even twice by the looks of his new web sites dealing in "Sales & Surgery!" PLEASE read this scientific article, sales pitch or whatever it is, written by Kruschinski in 1998, when he was psychic as it contains information from the years 2000-2007! Kruschinski even mentions "Einstien! 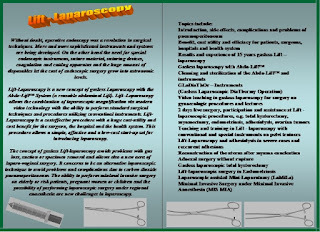 He also mentions that the "Lift-Laporoscopy" cannot be used for pediatric surgeries, but in his sales add for the "Abdolift, he is hawking it FOR Pediatric surgery! This paper is located in his "Sales Pitch Section" as a means to "impress" both India and China into buying HIS Abdolift! The pneumoperitoneum – a continuing mistake in laparoscopy ? Unfortunately ALL THE ABOVE is all a fraud in Kruschinski's attempts to scam money from innocent and vulnerable people, both patients and proffesionals alike as he entwines more and more people into his web of deceit and fraud! Kruschinski continues to drink heavily and currently spends LOTS of time stalking and threatening his former "Mistress and Endogyn employee," Michi Katzer, by use of sending hundreds of text messages day and night! The reason he is "stalking Michi? 1.) The first is that Michi attempted to collect unemployment from Endogyn, which is now considered a non entity as a functioning bussiness, it is only recognized as a web site. 2.) Michi Katzer is readily offering information on how Kruschinski not only frauded her employment documents, but many, many other documents, web sites, articles and just about everything else he has ever touched! Stay tuned to IHRT for much more incriminating information and evidence, all factually based and presented in a way that you can validate our words and "Find Out For Yourself!" COUNT DOWN TO: "OSAKA, JAPAN - ISGE"
IHRT is hoping the Kru will not disappoint us and back out of this Congress! A number of "surprises" wait for him there!